There are different ways to promote your brand, increase sales, and fund your cause. This includes the use of raffle tickets. All you need to do is to ensure that your ticket can help you get your message across accordingly for effective advertising. Barbecue cookouts are pretty popular in various communities. Admission to these events sometimes come with a raffle ticket that people can buy as a means to raise funds for a particular cause. 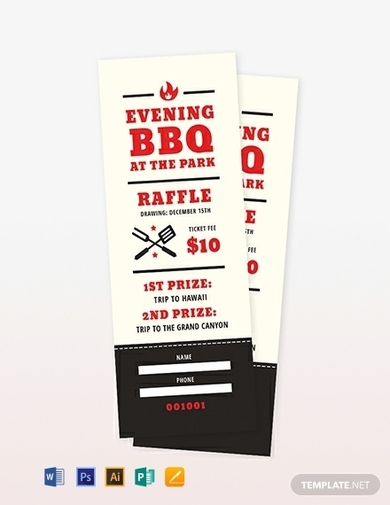 Barbecue raffle tickets are designed to grant a holder entry to the venue and make them eligible to join the raffle. 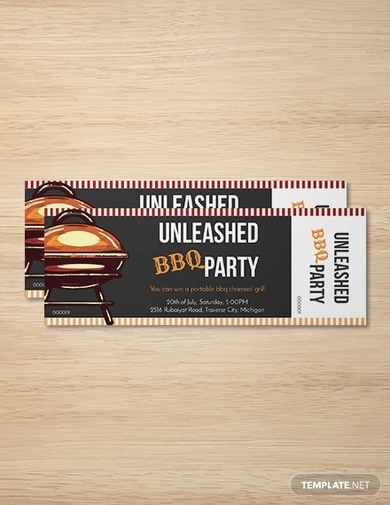 While you can always choose to stick with a plain ticket design for your cookout, attractive tickets tend to be a better choice in terms of helping you market your event. Designing your own ticket requires time and commitment. It’s not easy to craft a ticket without a guide or prior experience, especially if you need to produce multiple copies of the ticket in different versions for an important event. Thus, downloading a ticket template proves to be a more efficient alternative. You can edit the template to meet your desired requirements using different software and tools, such as Adobe Photoshop and Microsoft Word. One of the best ways to show your appreciation toward viewers of your movie screening is to hold a raffle. Ticket holders can use the ticket to save a seat at the theater and to join the raffle. This also allows you to use the ticket for a dual purpose so that you can draw a much bigger crowd to your event. Christmas is a time of giving, but to many, it’s also a time of receiving. Many companies and nonprofit organizations host raffles for their customers and sponsors to enjoy. Christmas raffle tickets can be given out for free or sold at a fair price in order to benefit a cause. 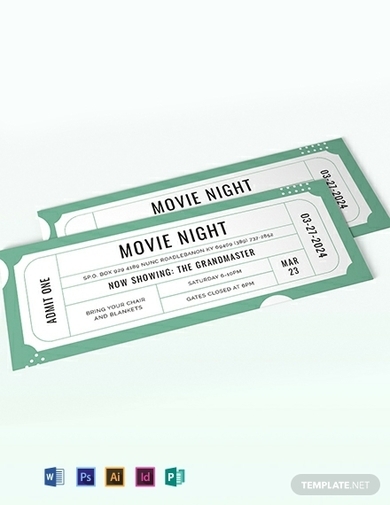 Be sure to design the ticket according to the said theme to help emphasize the season as well as your brand. BBQ parties are family-friendly events that may be held for a business or personal function. Ticket selling is one of the best ways to monitor your turnout and measure its success. A good ticket design will help you communicate key details about your event to participants in a clear and coherent manner. Companies that specialize in the production of infant goods and materials often organize special promos for their consumer market. 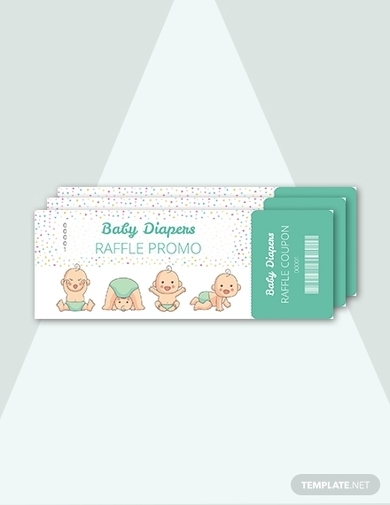 A diaper raffle ticket is one example of a promotional gimmick that can help boost sales for your business and build recognition to your brand. The terms and conditions of your raffle must be indicated in the ticket for customers to be aware of how they can take part in the campaign. Hotels, restaurants, and airlines are some examples of companies that use raffle tickets to help market their brand. Here, customers are given the opportunity of a lifetime to win a free trip to a particular location as a holiday treat from the company. 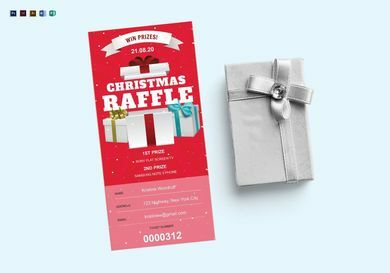 A sponsored prize is bound to bring attention and foot traffic to your business, so make sure you have those holiday raffle tickets ready for customers to use. Camera equipment comes with a hefty price tag, so photography contests that give away cameras, lenses, and other tools are sure to attract a lot of willing participants. 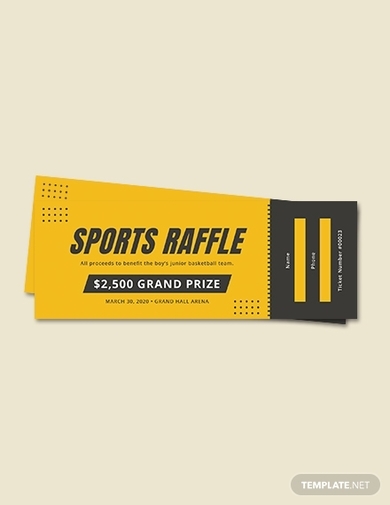 While there can be many ways to execute your brand’s promotional campaigns, raffle draws are known to leave a huge impact on consumers. 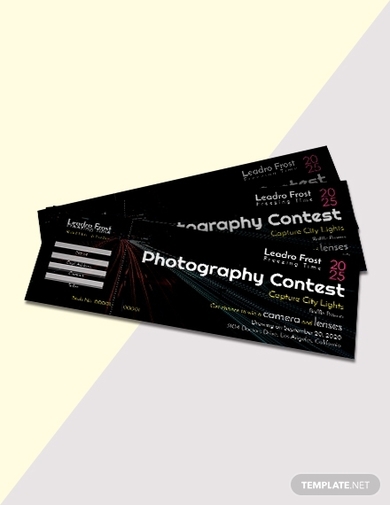 A photography raffle ticket may be given to customers who purchase goods from your store, which qualifies them for the contest. Raising funds to sponsor your school’s varsity teams and campus facilities? Using a fundraiser ticket to do just that would be a great idea! You can use a raffle ticket to inform students and faculty members of your campaign through the written content of your ticket. Most sporting events use sports tickets to properly control the number of people in attendance at the venue. That’s because big crowds can sometimes cause chaos due to poor management. It’s also common for organizers to give out freebies and collectibles to audience members by hosting a raffle before the tournament begins. If you have any plans to do the same, you can use the template above for a head start. Weddings are magical celebrations that many couples invest a lot on. Apart from a scrumptious buffet and a captivating setup for your reception, you can also hold a raffle as a special token to guests. 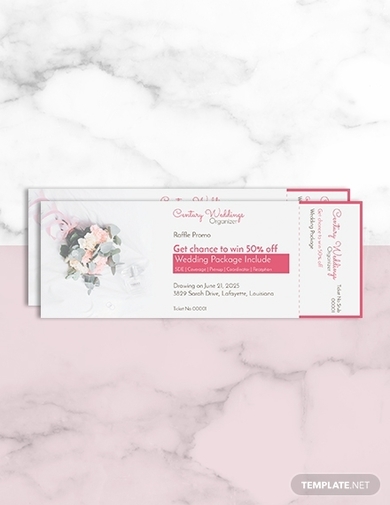 Wedding raffle tickets may not be common, but some couples consider this is as a way of giving back to their guests and sponsors. 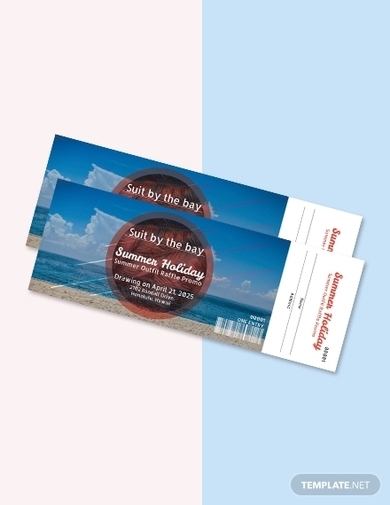 You can send the tickets along with your wedding invitations to make sure they reach the hands of your recipients. Institutions that host homecoming celebrations for their former students often use these events as a source of funds for a specific cause. 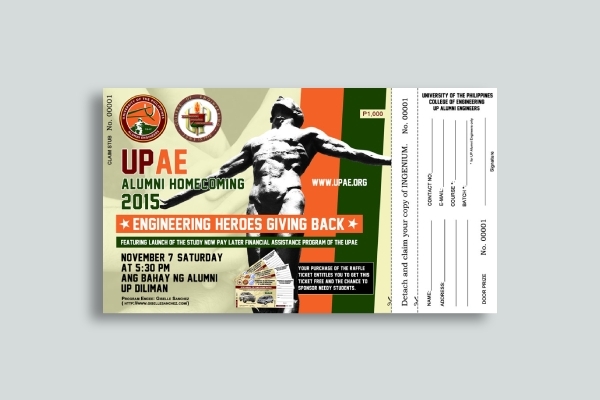 Proceeds from the tickets sold will likely benefit the development of the school and its programs. But because these tickets can be quite pricey, organizers also host special raffles to make up for the costs. Raising funds for your organization isn’t the easiest thing to do. If you have a scholarship program that you’d want to finance, you can entice potential sponsors with incredible prizes from your raffle. 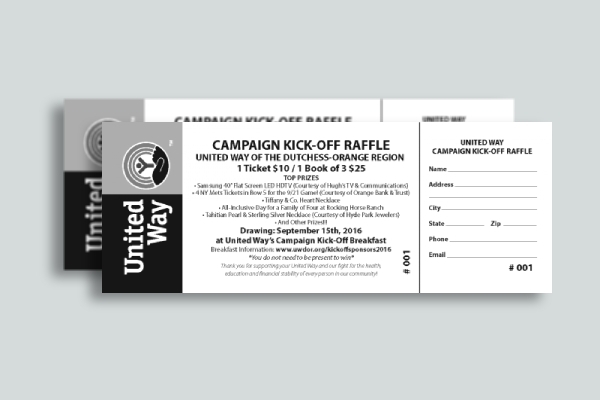 Shown above is an example of a raffle ticket used by a Jewish organization that aims to use the proceeds generated from ticket sales to meet its mission. 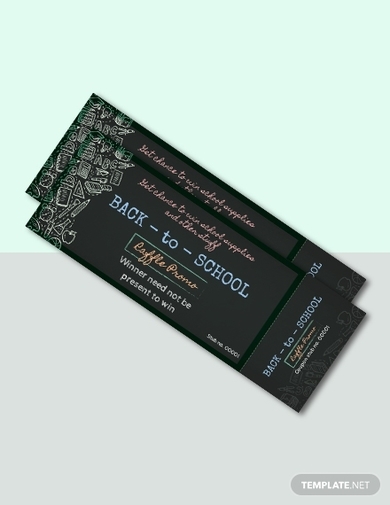 Offering others the chance to cater to the needs of their fellowmen can be achieved with the help of a raffle ticket. 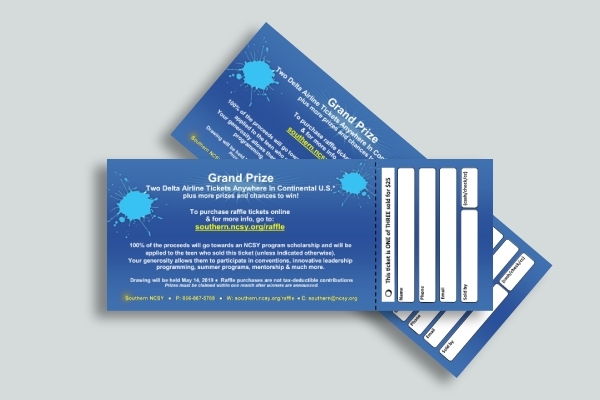 Event tickets to your function should be signed by customers to qualify them for the raffle draw. Through this, you can improve the lives of others by financing their educational and financial needs. 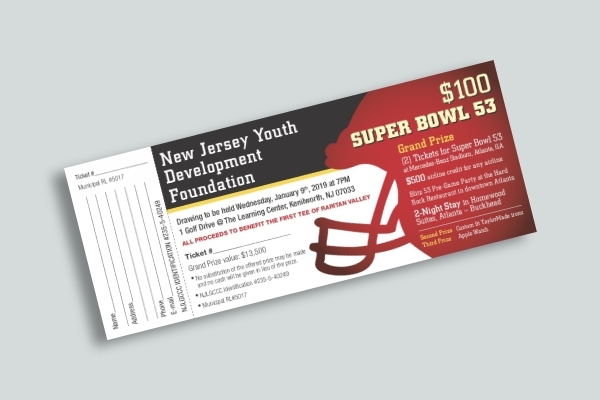 While this may not be the actual ticket to the Super Bowl, it can bring sports fans one step closer to seeing the big game. This is a tactic that the Youth Development Foundation used to gain funds for their cause. 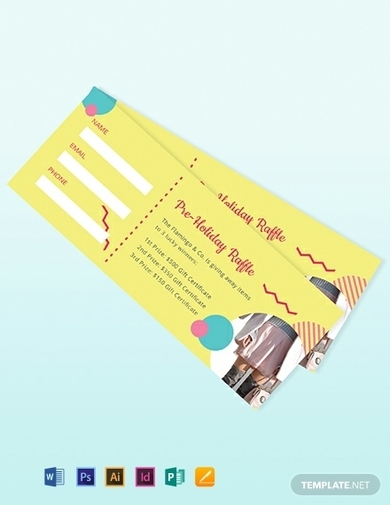 Designing an eye-catching ticket is one thing, but making sure your prizes are enough to keep readers engaged is a whole other aspect to consider.